We welcome you to our wholesale and dropship program of herbal supplements and ayurvedic medicines. 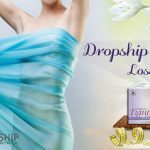 We, on behalf of Ayush Remedies, invite you to join our herbal dropship program. This program is specially designed keeping in mind the growing demands of natural health supplements worldwide. We are here to help you in excelling your business to new heights. All our natural health products are safe and of high quality. These products are prepared under GMP certified manufacturing facilities following hard safety norms. Quality testing is done from the raw ingredients to finished goods. Our herbal supplements have been prepared with the foremost care and detail. The herbs that went into the preparation of these supplements are the safest and most renowned. We offer discreet packaging i.e. products will be sent in a standard shipping packet with no indication what-so-ever as to what is contained inside. We care our customer’s privacy and give it the highest priority. Once we receive payment, we will dispatch the products within 24 hours. Dispatch of wholesale orders depends upon the availability of the products however we try our best to ship the items to the earliest. 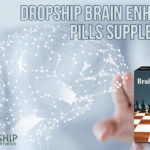 If you choose our dropship program of herbal supplements and get approved, you can start selling our widest range of natural health supplements with hassle-free dropship business model. Note: Minimum order quantity for dropship is 1 pack. 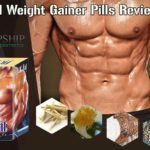 If you choose our wholesale program of herbal supplements and get approved, your business will gain exclusive access to wholesale prices and larger quantities on our full range of herbal supplements. You will get good discounts when you purchase in bulk. Note: Minimum order quantity for wholesale purchase is 50 packs. To join our dropship or wholesale program please complete the form below to register.